Depending on the year you bought your Scion, you would have a different type of key that you use to get into your car. Older Scion’s had regular non-chip keys, while others have transponder keys or fob car keys. 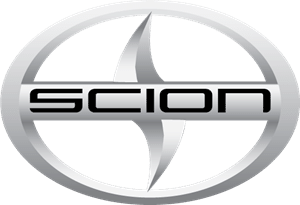 No matter what type of Scion you drive, you should know that if you lose your keys, you can get a replacement fast at an affordable price. All you need to do is call Door N Key Locksmith and we’ll immediately dispatch one of our skilled technicians. They will be there within 25 minutes, and will get to work on making a new key for you. We understand the stress and anxiety that accompanies a situation where you have lost your key. You need to get in your vehicle and drive it to work, or you need to pick up your kids from school. Either way, you cannot afford to wait all day for a replacement key. That is the reason we have a setup of multiple vehicles that are fully equipped with the tools needed to produce replacement keys on site. Someone will arrive at your location in less than a half hour, and you can watch as they create a brand new key for your Scion!